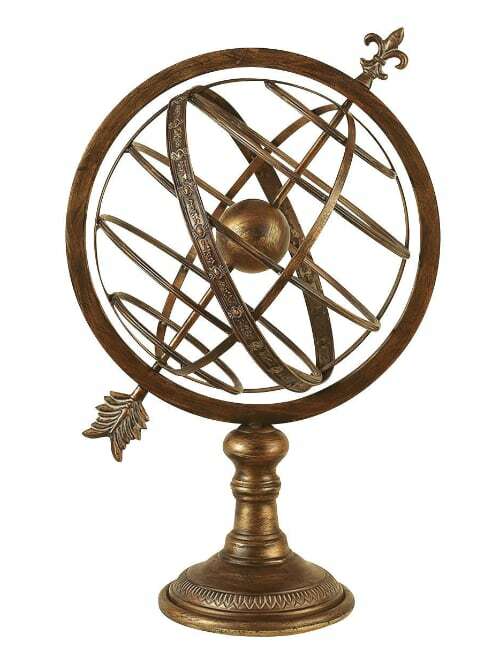 Armillary Sphere with 3” centre globe (representing the Earth). 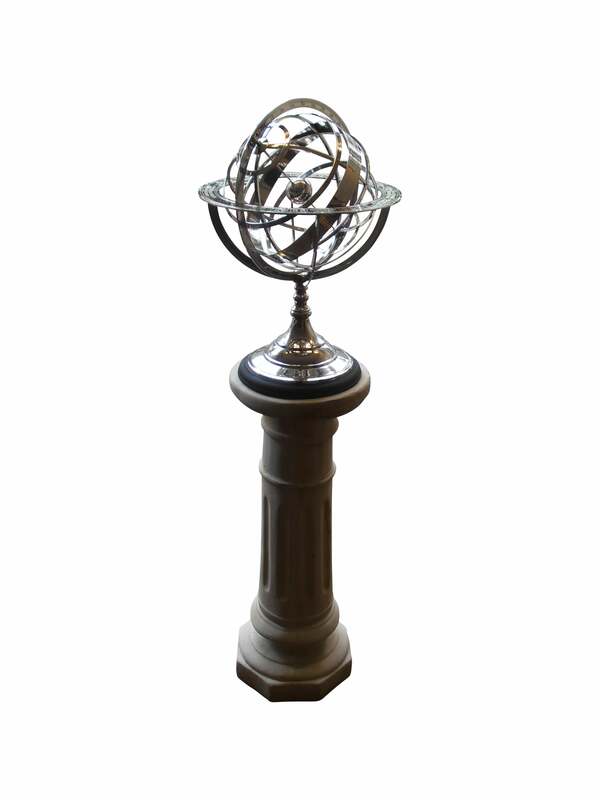 It’s supporting base is 9″ diameter (so it is sturdy, solid and balanced). 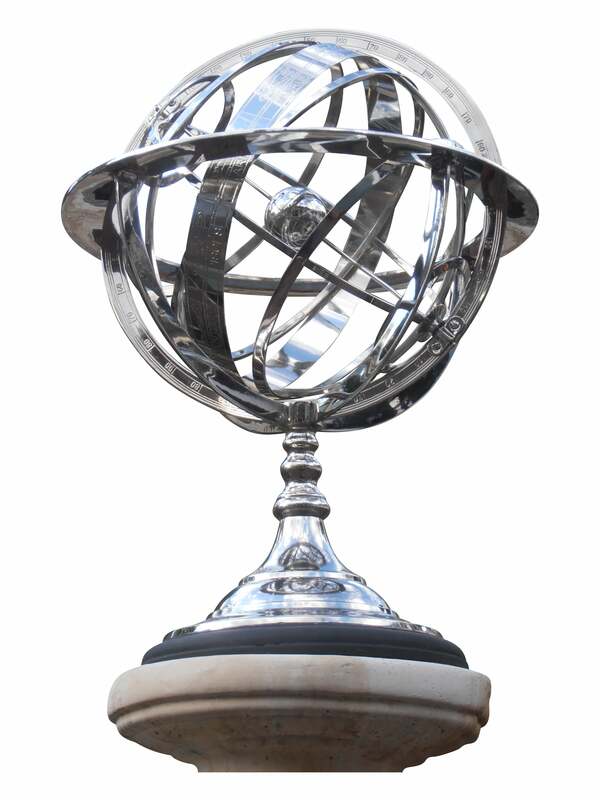 The rings are 14″in diameter (for the Latitude and Longitude pathways). This medium size is the most popular. Not too big for prominent placement. Large enough to make a statement. 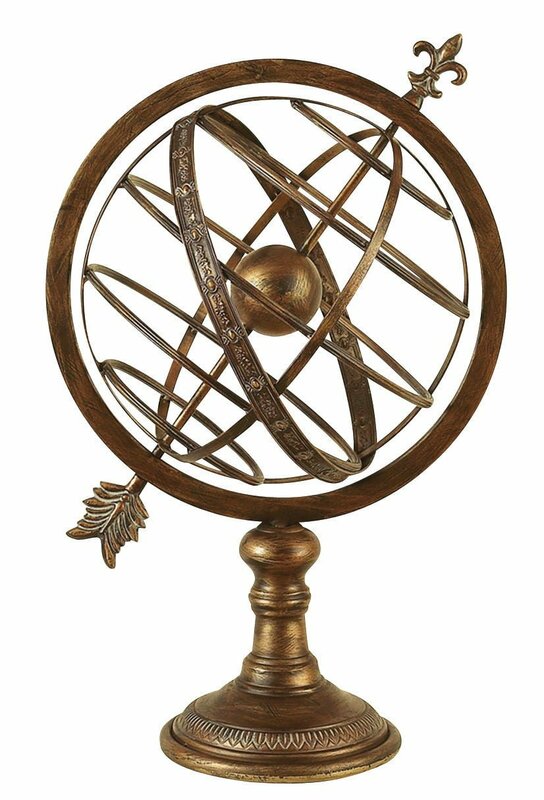 Armillary Sphere has an Antique Brass Finish. It blends well with in it’s surroundings. 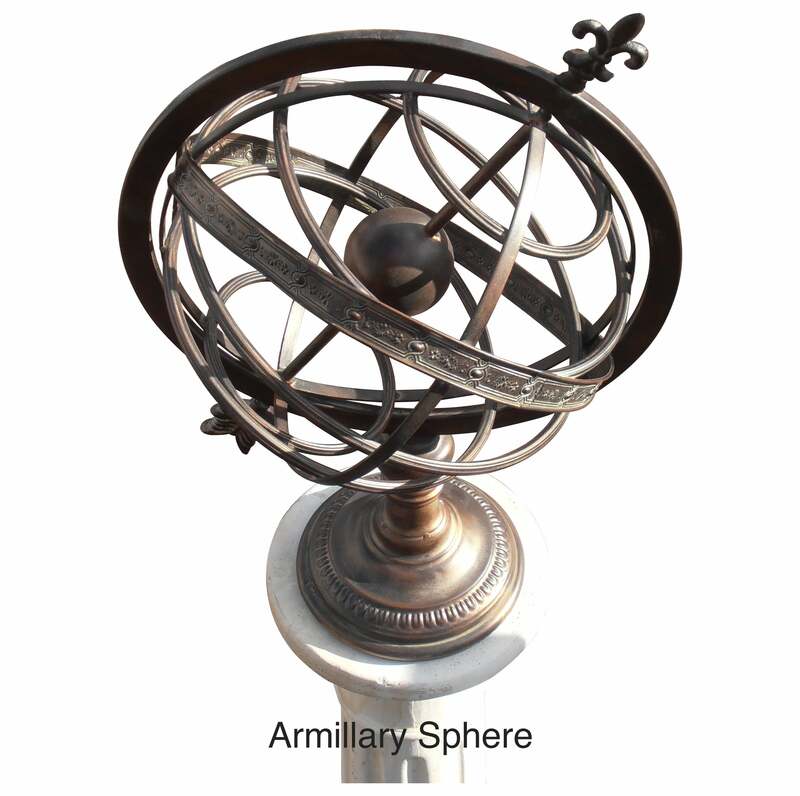 Armillary sphere ( called spherical astrolabe, armilla, or armil ),It models objects in the celestial sphere. Consisting of a framework of rings. 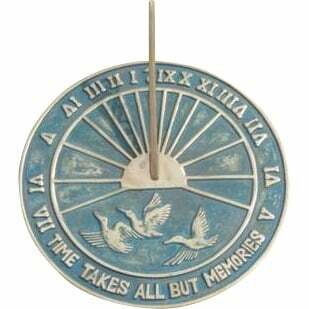 It’s centre can be the Earth or the Sun. 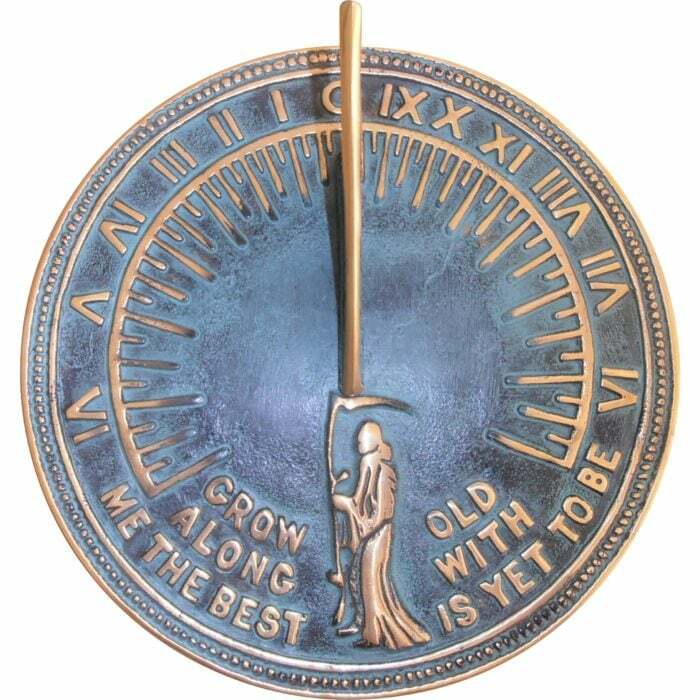 The circles represents the celestial longitude and latitude and the ecliptic. 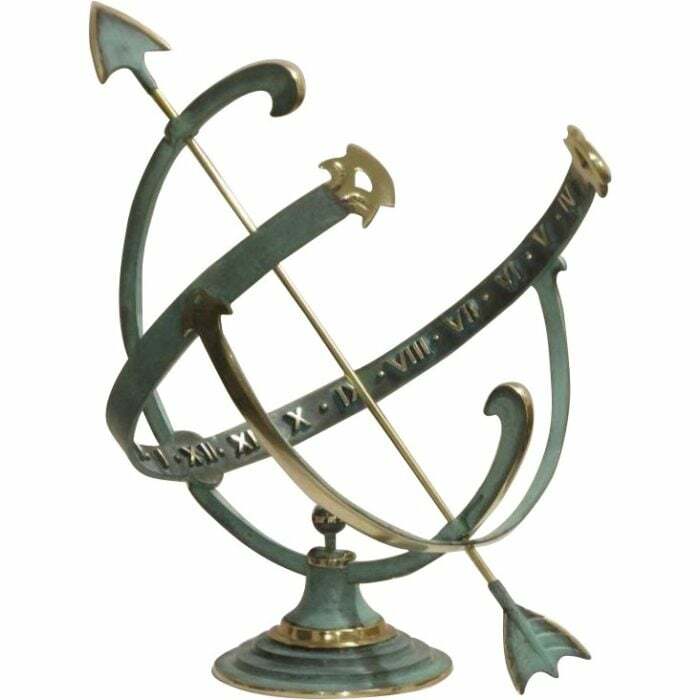 It differs from a celestial globe, which is a smooth sphere whose principal purpose is to map the constellations. 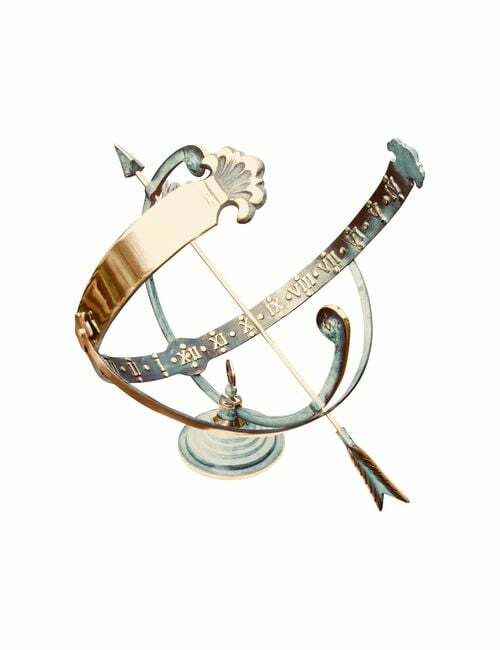 Invented separately in ancient Greece and then ancient China. 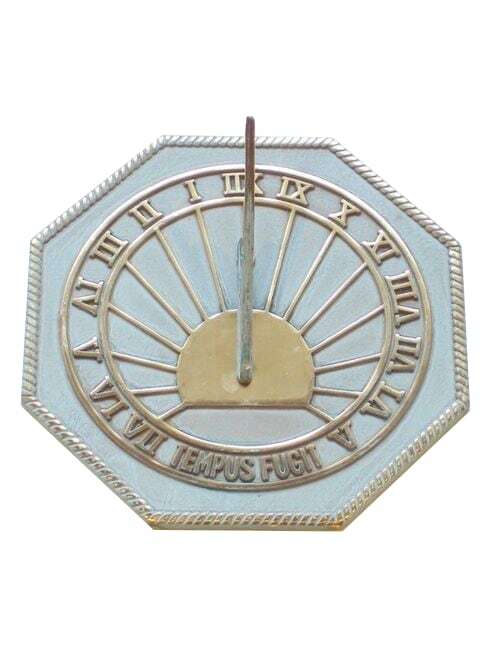 It was later used in the Islamic world and also Medieval Europe. 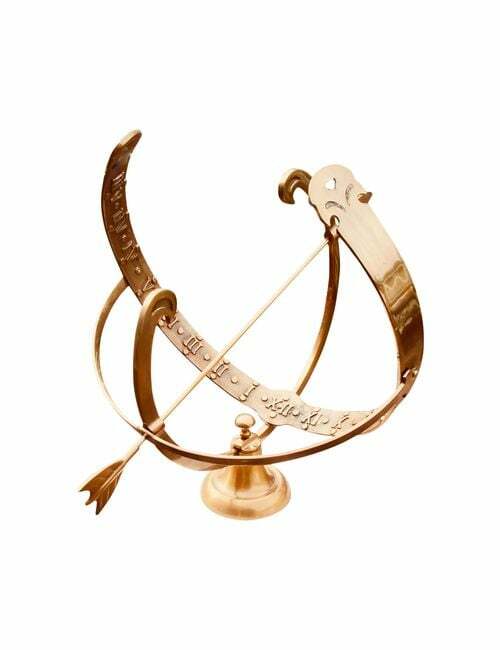 Using Earth as it’s center, an armillary sphere is known as Ptolemaic. With the sun at It’s center, it is known as Copernican. This Armillary Sphere creates interest. 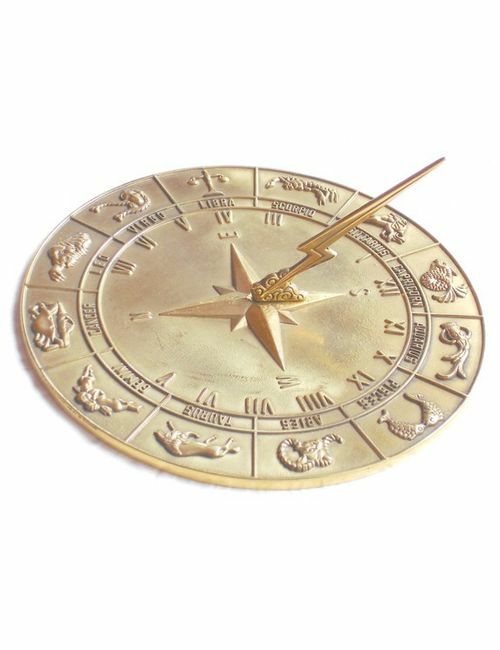 It changes the mood of a room. Built into an outdoor room or garden it will generate interesting conversation. 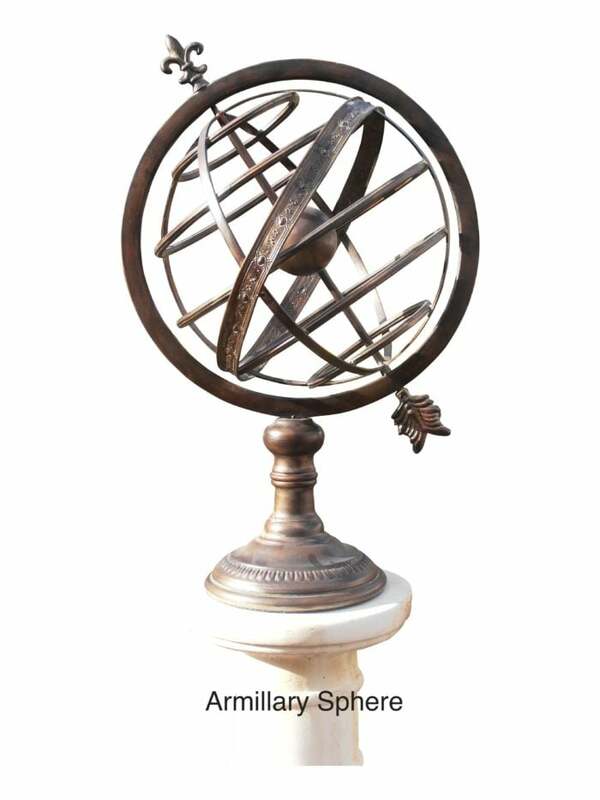 Armillary Spheres bring delight. 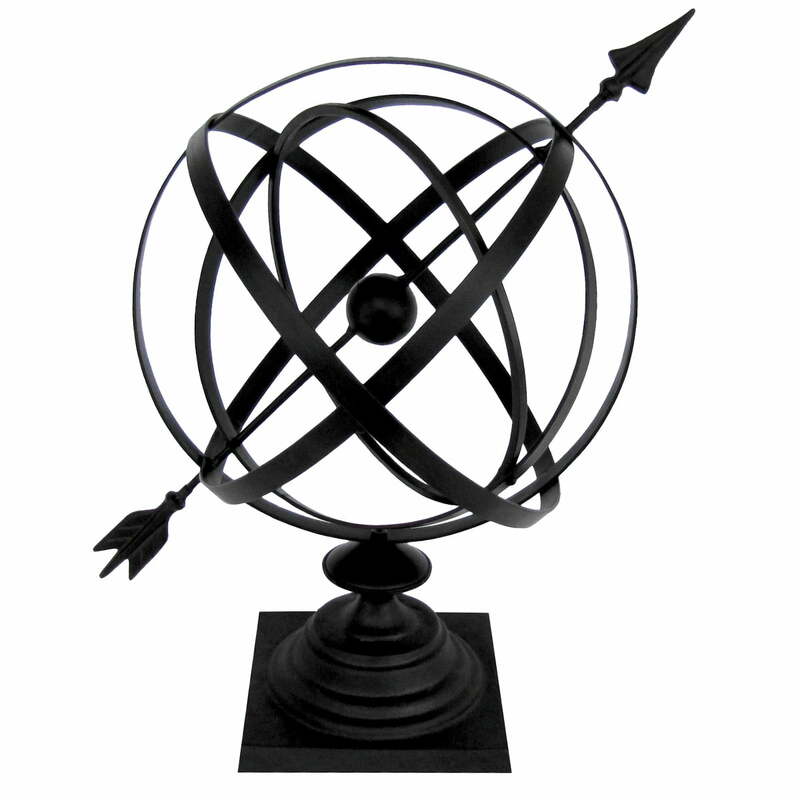 The Armillary Sphere’s main purpose is to make a statement.